When you have a pest problem, you will need to hire the services of a good pest control Gold Coast company. It is not uncommon to face a pest menace on the Gold Coast. Many families have found the right solution by accessing services that provide impressive results. One of the most notable companies that will sort out your issue is Impressive Carpet Cleaning and Pest Solutions. There are many reasons why this company is preferred, and below is a highlight of the top merits to be found at this company. Professionalism is key when looking for the ideal service. This means that the company must have trained personnel who understand your problem very well. In addition, the staff must be duly licensed to operate. This company goes a step further by ensuring that all the drivers and technicians are uniformed and friendly. You will tap into the most professional pest control services on the Gold Coast. With nearly 40 years of existence, while offering these services, this company has managed to tailor its services to meet the individual needs of customers. To this end, the company knows which pests are common and how to eliminate them in this location; no pest problem is too big. 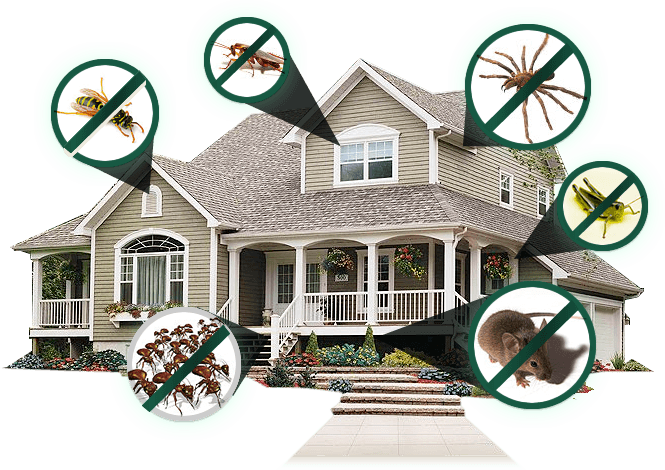 Therefore, there is no need to take chances with pest control companies, choose one that is fully confident and experienced. When you are dealing with an issue of pests in your home, you do not have time to wait. Impressive Carpet Cleaning and Pest Solutions is therefore prompt; to offer you quick services. When the full analysis of your pest issue is done, the technicians will draw up a suitable solution for your home. Within no time, you will be enjoying a pest-free home. Also, contacting this company is easy. Through their site, you can request a free quote by just calling or using their online form. There is all manner of pests that can invade your home. From mice to ants and cockroaches, this company is well experienced and prepared to deal with any challenge. It does not matter whether yours is a mild or extreme invasion; you will find the right solution. Having said this, homeowners are always encouraged to seek help early when dealing with pests. This could reduce the costs while preventing massive eradication plans. Therefore, choose a company that can help you with virtually any pest. After the pests have been eradicated, this company will give you the tips and pointers to help you keep the enemy at bay. Many times, prevention is as good as a cure. This company is therefore proactive to empower you with the right tools and information to help you prevent a recurrence of the same problem. Do not forget that when you need your carpet or upholstery to be cleaned, this is a good service as well. The company will also clean rugs, grout, and help in flood restoration. Therefore, choosing a pest control Gold Coast company that is versatile will work in your favour.